Emojis are slowly taking over all forms of communication with a technological base. We send these symbols with text messages, birthday wishes on social media posts, and in funny blog articles that we write. There are a million and one ways that we manage to include emojis into our conversations each day. At this point, personal feelings with emoticons are to either love them or hate them as there is no in-between place in the world of emoji use. Now the social media world is beginning to allow brands to capitalize on how consumers use emojis in their posts. 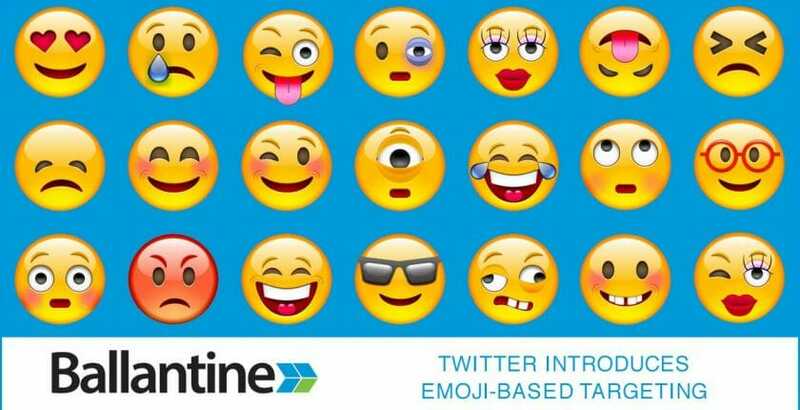 Emojis have been an active part of the Twitter family since 2014, when users began including these comical symbols into their Tweet messages. This simple action allows users to express an emotion or feeling to their followers while staying within the 140 character limitation that Twitter requires. The ‘heart’ emoji is a popular favorite among Twitter users, and is the primary reason behind the social media giant switching its ‘like’ icon to a heart late last year. To those inside the social media world, the move is much deeper than that. It symbolizes how Twitter is paying attention to consumer behavior and preferences. 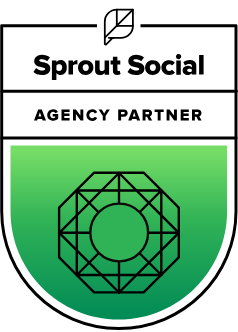 As a result, the social media channel took the necessary steps to align their system with those preferences. From that point, it became clear that Twitter is moving in an emoji-focused direction. Further proof of this plan comes in a new campaign Twitter is releasing this week that focuses solely on emojis and how consumers use them in tweets. The fun and unique program allows brands to engage in emoji targeting based on the emoticons that a user sends in a tweet message. For example, if a user sends a tweet containing a hamburger emoji, local restaurants receive this information and can send targeted advertisements to that user. As with traditional marketing campaigns, brands will need to have an accurate understanding of the communication message that a consumer sends before responding with relevant advertisements. Brands will need to identify the difference between a customer sending out a pizza emoji because it’s funny and sending it because the person currently has a taste for pizza. Understanding the difference between the two uses of one icon comes in knowing the consumer behavior patterns of a target market audience. Companies will also need to invest a significant amount of time into monitoring the emojis that are trending. That research information will allow the companies to create advertising campaigns that focus on those and other emoticons that their target market audience may include into tweet messages. When they identify a consumer who is using the emoji to express a problem situation, a relevant logo advertisement is then ready to solve that problem in a quick and efficient manner. In traditional marketing campaigns, companies need to engage in research as a means to find out what problem their target audience is currently looking to solve. With that information on hand, companies then seek out consumers and offer relevant solutions through content marketing pieces and promotional messages. The increasing popularity of emoji usage brings that search to their virtual doorstep. Now they can analyze the use of emoticons in a tweet and determine if there is an intent to purchase behind that tweet. Matching a promotional offer to a particular emoji present in a tweet shows that a company is paying attention and working to identify consumer needs. This one of marketing using emoji’s best practices. Reacting quickly to an emoticon tweet with a beneficial reply can be just enough to give a company a competitive advantage over the competition. Another benefit of using emoji’s in marketing is it also works to add value to the consumer experience and paves the way for a sales conversion to take place. As with any new social media channel activity, it will take some time to get use to targeting consumers by the emojis they place in twitter posts. Consumers may feel a bit odd at first when tweeting a beer emoji and then receiving responses from beverage companies in the geographical area. Over time, it could be a beneficial way for companies and consumers to correspond with one another, which would change the way traditional marketing works using emoji marketing. Twitter’s new plan takes the place of traditional hashtag targeting for companies. Before the emoji interest took shape, companies could target consumers through their use of hashtags in tweet messages. Those hashtags indicated the existence of a pressing problem the target market audience needs at the moment. Emojis will now take center stage in providing insights into consumer thoughts. Considering consumers send approximately six billion emojis a day, Twitter’s new plan seems to be a step in the right direction for company marketing activities. Thank you for reading our blog! To learn how we can help with your marketing needs, contact us today.